* Bild® motorized column is no longer available. 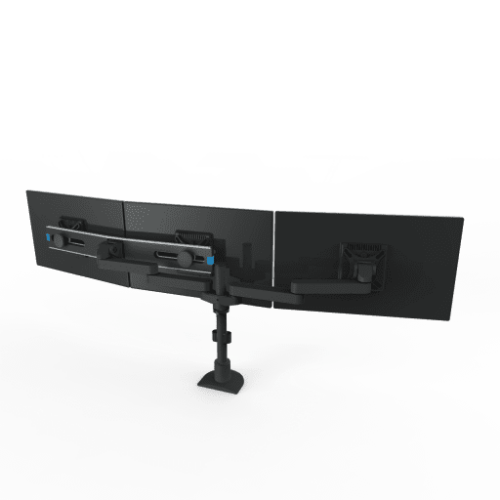 The Bild® triple monitor mount, part of Innovative's highly configurable Bild® multi-monitor mount system, offers a sturdy construction that can suspend three monitors weighing as much as 30 lbs. each above the work surface. 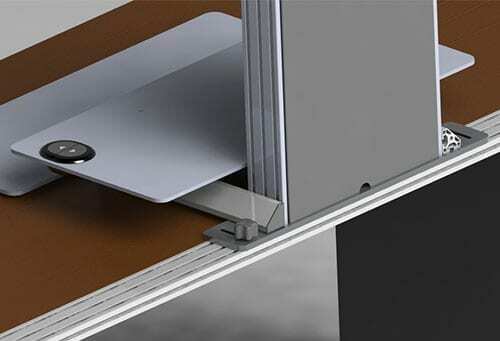 This triple monitor stand was designed to enable easy installation or replacement of monitors. 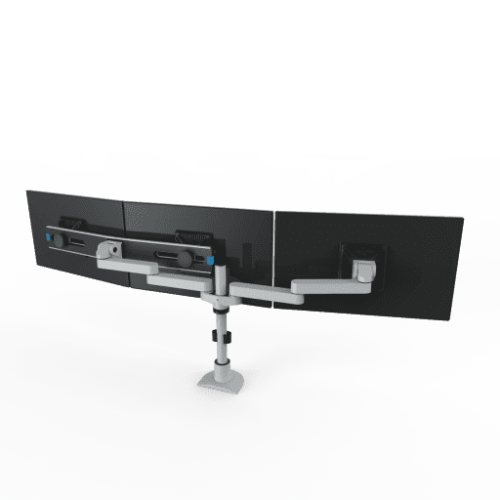 View other Bild multi-monitor mount configurations. 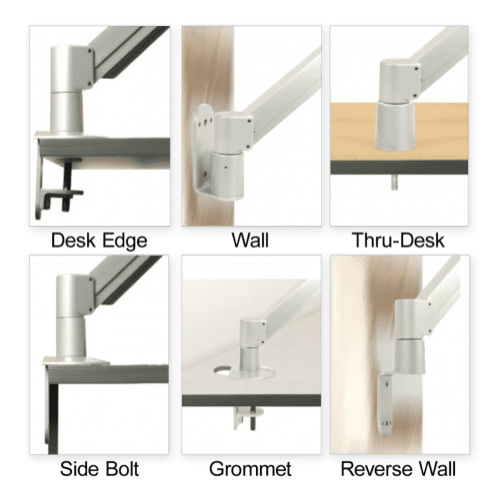 The Bild® triple monitor mount's easy-to-adjust hinges enable monitors to be mounted flat or in an arch. 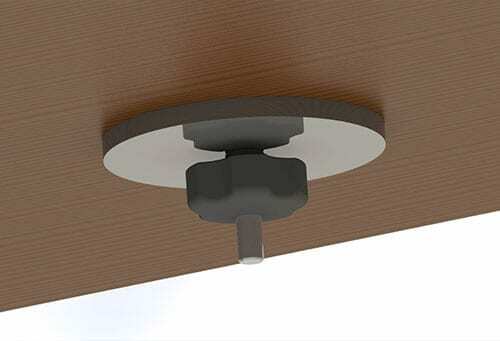 Adjusting tools are stored in the beam end cap, never out of reach, which makes loosening and tightening the pivot points to the desired rigidity a simple endeavor. 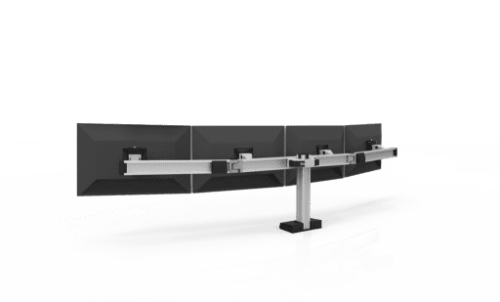 An environmentally friendly product, Bild® triple monitor mount is comprised of 99% recyclable content. 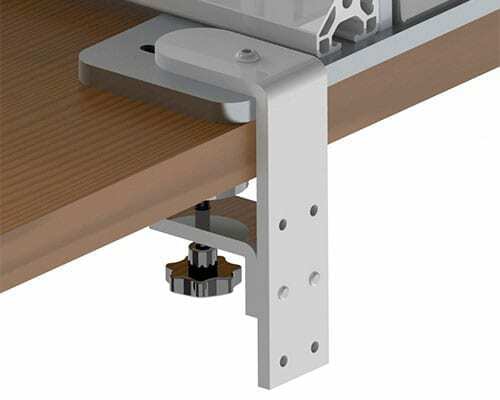 Bild® triple monitor mount is assembled in the USA.